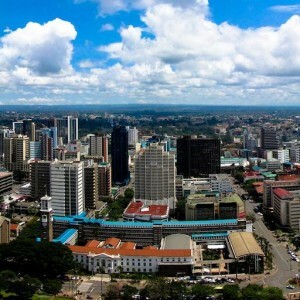 Kenya’s future offers both opportunities and significant challenges. It is a continental leader in information technology and has well-developed health and education systems relative to other lower-middle-income African countries, despite average incomes being at the low end of that threshold. However, access to other basic services is poor and various corruption scandals have cast a shadow over development prospects. To shape a better future Kenya must improve the quality of governance and accelerate service delivery without sacrificing gains in other areas. Dr Jakkie Cilliers is the founder of the Institute for Security Studies (ISS), chairman of the ISS Board of Trustees and head of African Futures and Innovation at ISS Pretoria. He is an Extraordinary Professor in the Centre of Human Rights and the Department of Political Sciences, Faculty Humanities at the University of Pretoria and a well-known author and analyst. Zachary Donnenfeld is a senior researcher with the African Futures and Innovation programme and has worked at the ISS since 2015. Before that, Zach worked at the Frederick S. Pardee Center for International Futures, and the Environment Food and Conflict Laboratory at the University of Denver. Stellah Kwasi is a researcher in the African Futures and Innovation programme at ISS, Pretoria. Before joining the ISS she was a research affiliate at the Frederick S. Pardee Center of International Futures at the Josef Korbel School of International Studies, University of Denver, Colorado. Sahil SR Shah is the Project Lead of the Kenya Business Guide. Prior to this he worked as a research analyst based out of the Strathmore Business School supporting numerous client projects across East Africa on the areas of strategy, private sector development, governance and political economy. Lily Welborn is a researcher with the African Futures and Innovation programme. Before joining the ISS, Lily worked at the Frederick S. Pardee Center for International Futures, conducting forecasts on human security issues and writing reports on development trends and transnational crime.